Now we’ll be talking about something that we do every day but probably don’t give it a second thought, and that’s patch management. It’s something most folks look at as a major inconvenience simply because it involves rebooting of servers, workstations, and God knows what’s going to happen when the systems come back on. But it’s also as necessary as taking the next breath because without it, bad things can and usually do happen! If there was ever any doubt in my little mind concerning the need to stay on top of patches that settled it right there. Patches come in a couple of flavors. There are “Security” patches that are meant to fix some flaw in the OS that could be exploited by a virus or person. There are “System” patches that are meant to fix some little issue with the operating system or application that could cause it to fail. Then there are “Enhancements” which are designed to bring new features, or to make something better. They also usually fall into a couple of other categories. “Critical” means just that you need to apply this patch, and yesterday would have been a good day to have done it. “Important” might wait a week or so. And then there’s “Low” and you can apply them when you wish, and in some cases might not want to. And it’s not just Microsoft that needs patches. Linux has patches, and they need to be installed, Apple, UNIX, all of them. And then there are applications (remember, not all apps come from Microsoft), and these also have bugs or flaws that could make them a security risk. Patching them is just as important as patching the OS. Welcome to the world of being overwhelmed! Needless to say, there are a lot of great tools out there to help you. Small shops, WSUS still does wonders for the Windows side of the house. Bigger shops, think SCCM. 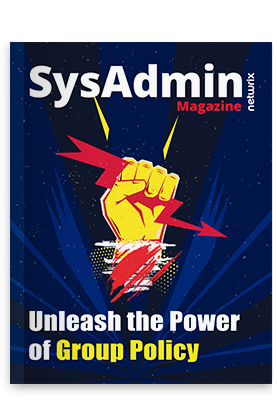 SCCM would, of course be the weapon of choice simply because you can do third party apps with it, and it keeps a great audit trail that of course your auditors will want to see. But suppose you aren’t a big shop. For some of us SCCM is overkill, so patching third party apps is a chore. But a simple google search will turn up dozens of products that cater to this area. The good news, most of them will provide you the MSIs you need to use to update your 3rd party apps, thus saving you a ton of work. One thing you should keep up on, and that’s vulnerability scanning. We’re not so much looking for problems as we are to show what we’re trying to do. An example of what I did was before the monthly round of patches, I’d scan each server with MBSA. This showed issues, patches I needed and so forth. After I applied the patches, all the servers were scanned again. These before and after scans become a part of the SOX process and the results should be kept on file. Some folks don’t like keeping them around because it tends to get auditors asking questions. My own personal Princess of Darkness loved asking questions like “Why are there more than two administrators on this box”. After a while I learned it wasn’t so much a criticism as it was to make me think about security. It was OK as long as I knew it, and was doing something about it (like getting rid of old admins or limiting who had access by using security groups). A last word on patching. If possible, test them before you deploy them. We should all have some kind of sandbox environment to do just that. I call my test environment “Vegas”. It has absolutely no contact with the outside network which should give you your hint why I call it “Vegas”. There’s a Domain Controller and a few basic servers. If a patch is going to bust something, better there than anywhere else. Bad patches are a fact of life and better to weed them out ahead of time. All this to say one thing, patching is a part of your Disaster Plan. After all, you’re mitigating (there’s that word again) against possible threats or problems. So, till next time, “Happy Patching”!